In this video from a recent Beck Institute Workshop, Dr. Aaron Beck describes the shift in treatment aims for clients withpsychosis. He explains that previously "getting better" meant a decrease in symptoms of delusions and hallucinations. Today, Cognitive Behavior Therapy (CBT) aims to help clients function in their communities, whether or not they still experience symptoms. Dr. Beck goes on to say that when clients reintegrate into society, overall adaptive functioning typically improves. Schizophrenia: Cognitive Theory, Research, and Therapy. Beck and colleagues leap frog the British contributions and provide a comprehensive volume that is a guide to learning and applying cognitive therapy to schizophrenia. 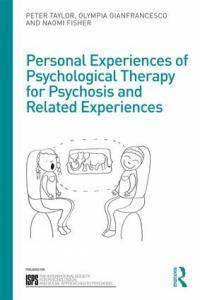 Presents a lucid explanation of the clinical guidelines and detailed therapy procedures used in the practice of cognitive psychotherapy for patients with psychotic disorders. Stresses the importance of building a solid therapeutic relationship in the early stages of treatment. Describes a range of cognitive processes to manage diverse types of psychotic experiences and includes procedures aimed at controlling emotional disorders. Cognitive Behavioral Therapy (CBT) for psychosis is an evidence-based method to reduce distress and disability related to psychotic experiences, and to support a possible full recovery. Psychotic experiences are conceptualized as being understandable in relationship to an individual's life story, and capable of being altered when people experiment with different ways of thinking and behaving. Learn how to collaborate with people having these experiences, "exploring the evidence" rather than imposing beliefs, and developing coping options so people are not forced to rely entirely on the often limited effectiveness of medication to address problems. The following studies evaluate the effectiveness of CBT for Psychosis. There is solid evidence that CBT can be highly beneficial therapy to psychosis. However it must be highlighted that some researchers are disappointed about the results and conclude that CBT must not offered automatically to all people with first psychosis. However there are some surprising outcomes. People with carers seem to profit more from CBT than people without carers. This is also found by Hogerty researching his “personal therapy”. They look at outcomes at 12 and 24 months. With high quality care as usual ‘befriending’ with a treatment team maybe has a protecting effect on preventing relapse. In the Amsterdam study family intervention made a difference not after 24 months (they found few relapses) but it did after 5 years, after the time the relationship with the treatment teams was discontinued. Also see dissertation of Ria Lenior. Effective elements of cognitive behaviour therapy for psychosis: results of a novel type of subgroup analysis based on principal stratification. Dunn, G., Fowler, D., Rollinson, R., Freeman, D., Kuipers, E., Smith, B., Steel, C., Onwumere, J., Garety, P., & Bebbington, P. (2012). Cognitive-behavioural therapy and family intervention for relapse prevention and symptom reduction in psychosis: randomised controlled trial. British Journal of Psychiatry, 192, 412-423. Cognitive Behavior Therapy for schizophrenia: effect sizes, clinical models, and methodological rigor. Wykes, T., Steel, C., Everitt, B., & Tarrier, N. (2008). Cognitive Therapy and Recovery From Acute Psychosis: A Controlled Trial. 3. Five-Year Follow-Up. It is difficult to be happy unless one is good looking, intelligent, rich, and creative. If I do not do as well as other people, it means I am an inferior human being.If I fail at my work, then I am a failure as a person. If I am to be a worthwhile person, I must be truly outstanding in one major respect. CBT to address and prevent social disability in early and emerging psychosis. Fowler D., French, P., Hodgekins, J., Lower, R., Turner, R., Burton, S., & Wilson, J. (2013). Cognitive Behavioural Therapy and recovery from psychosis: effects on hope and positive beliefs and their mediating effect on activity in the Improving Social Recovery in Early Psychosis (ISREP) trial. Hodgekins, J. & Fowler, D. (2009). The findings support those of previous studies that highlight an important role for hope and positive self-concept in the recovery process. Moreover, the study reported here provides a bridge between consumer-oriented and evidence-based practice approaches to investigating and defining recovery. Consumer-oriented approaches highlight the importance of "renewing hope" and addressing the "interpersonal effects" of psychosis. Randomized Trial to Evaluate the Efficacy of Cognitive Therapy for Low-Functioning Patients With Schizophrenia. Archives of General Psychiatry, 69, 121-127. Grant PM, Huh GA, Perivoliotis D, Stolar NM, Beck AT. Defeatist beliefs as a mediator of cognitive impairment, negative symptoms, and functioning in schizophrenia. Schizophrenia Bulletin, 2009, 35, 798-806. Grant PM, Beck AT. (2009). Conclusion: Our findings are consistent with the hypothesis that defeatist beliefs are a mediating variable between cognitive impairment, negative symptomatology, and poor functioning in schizophrenia. Patients showed more defeatist belief endorsement than healthy controls; furthermore, the inclusion of defeatist beliefs in the statistical modeling resulted in an attenuation of the association between cognitive impairment and both negative symptom levels and functioning in the patient sample. Cognitive Behavioural Prevention of Suicide in Psychosis a manual by Nicholas Tarrier. Tarrier, one of the founders of CBT for psychosis, spent the last years of his carrier to investigate suicidal thoughts and behavior of people prone to psychosis and more important, how to help them. He wrote a very informative book on this issue, with many relevant literature studies and practical guidelines. Text from Amazon (buy the E-book): This practical and informative text lays out the product of a number of years of clinical research into suicide behaviour and its prevention. While the focus is on non-affective psychosis and the schizophrenia-spectrum disorders, the mechanisms underlying suicide behaviour in this group may well underlie or at least influence suicide behaviour in other disorders. The authors describe methods of assessment through individual formulation, and a cognitive behavioural intervention through case studies, to reduce the risk of suicide. · Suicide behaviour lies on a cognitive-behavioural continuum from ideation, through intention to action. · Mechanisms based on biased information processing systems, the development of suicide schema, and appraisal styles are likely to be fruitful in explaining suicidal thoughts and behaviours. · A psychological theory of suicide behaviour is needed in order to develop a mechanism of suicide and to understand the components of suicidal thoughts and behaviours. Cognitive Behavioural Prevention of Suicide in Psychosis evaluates practical applications of contemporary research on this topic, and will therefore be of interest to practitioners, post-graduates in training, and researchers studying suicide and/or psychosis.